Christmas is only days away now, and I’m in the middle of crazy last-minute sewing. Anyone else with me? 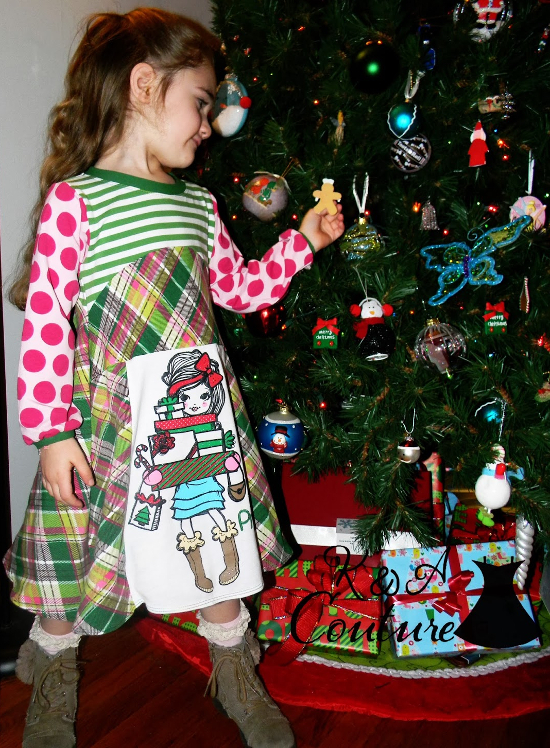 Are you in need of a quick Christmas dress pattern? How about the Playhouse Dress? (I’ve even had a few customers use it for an incredibly adorable nightgown!) Check out these sweet holiday Playhouse Dresses and reviews of the pattern, and read to the bottom for a 2-day discount code. 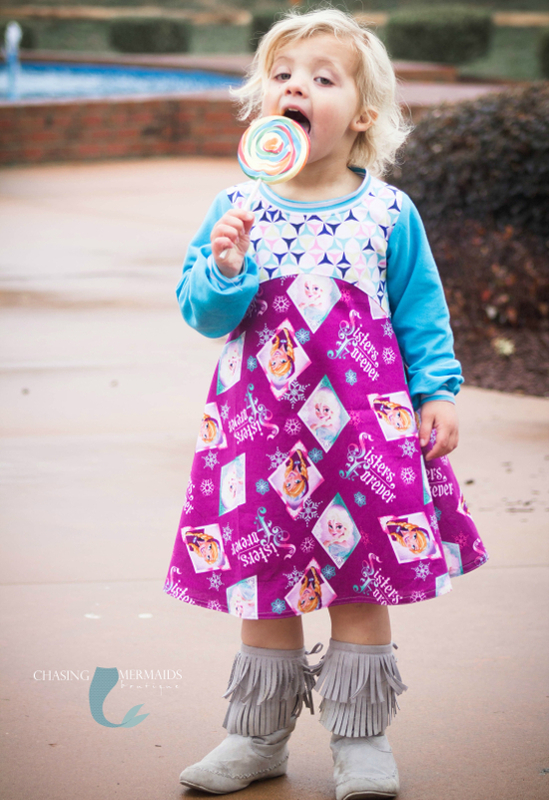 First up, Nicole from K & A Couture and Raedene of Chasing Mermaids reviewed the Playhouse Dress and showed off their versions on the Pattern Revolution blog this morning. Nicole’s is the one at the top of this post, and here’s Raedene’s. Aren’t they both amazing? 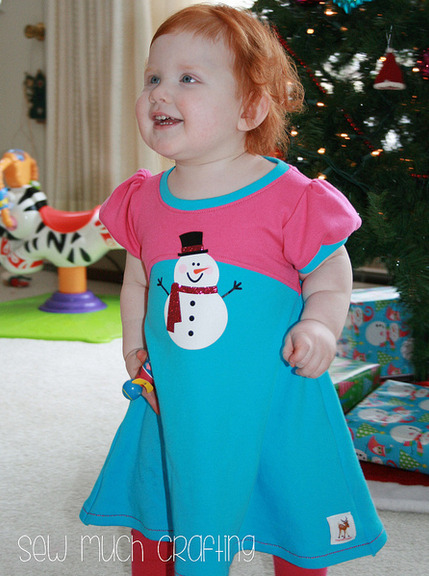 JoDee made the cutest snowman Playhouse Dress for her little one and shared it on her blog, Sew Much Crafting. 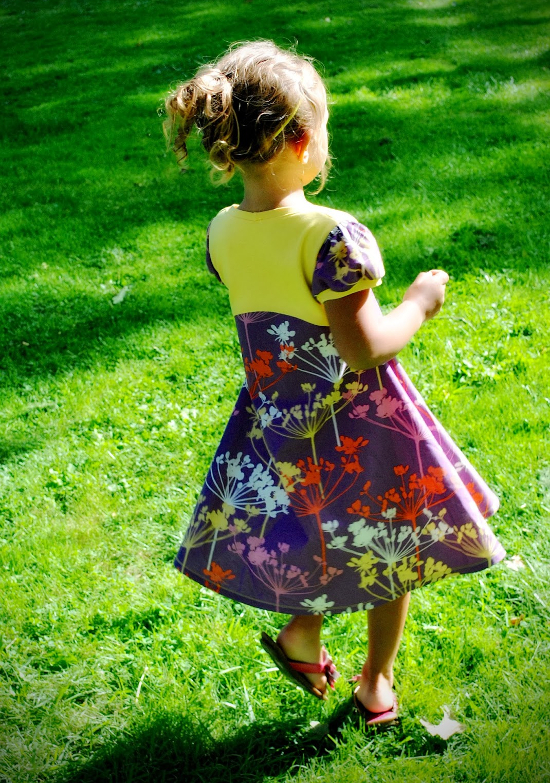 Finally, Rebecca from Rock the Stitch made this absolutely stunning Playhouse Dress. 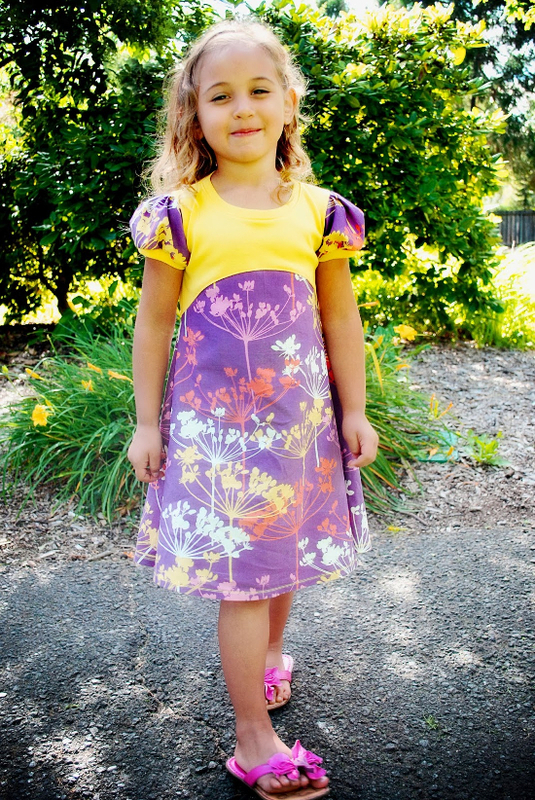 If you’d like to make your own Playhouse Dress, you can get $3 off of the regular price of the PDF version through Friday, December 20th by entering the code “PLAYHOUSE” at checkout in the Fishsticks Designs Pattern Shop.